Technical turning practice. 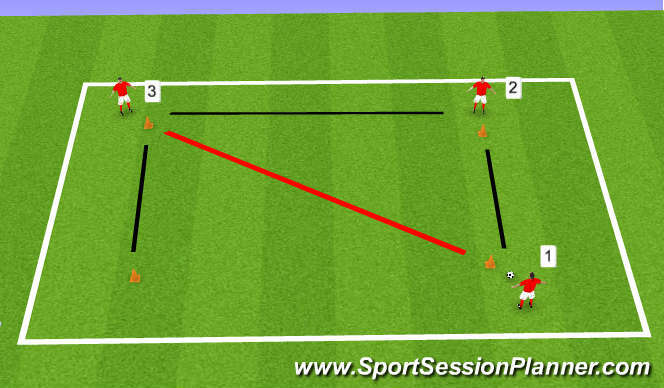 P1 passes to P3, P3receives and takes the ball to the free cone and turns, P2 presses and P3 continues to attack the free cones. The practice continues with different feet and turns. Defending 2 v 2 and progress to 2 v 3. 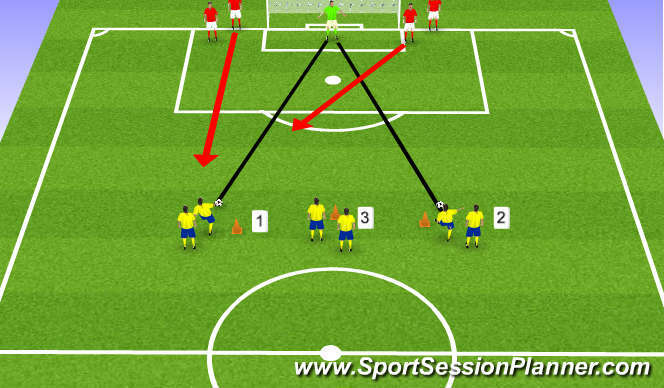 GK throws the ball to P1 or P2 they attack the goal defenders come out and the nearest player will press KP body shape /distance/covering position of team mate. Progress to make 2 v 3 try and force one way. Defending 4 v 6 blacks defend against reds for 10 mins work on shape and covering position if blacks win the ball they play back to centre man C . KP nearest man press the ball /body shape /covering pos /move up and tuck in to give support. SSG 4 V 4 with 4 on the outside joining in to set and pass with 2 touches max to see more pictures. 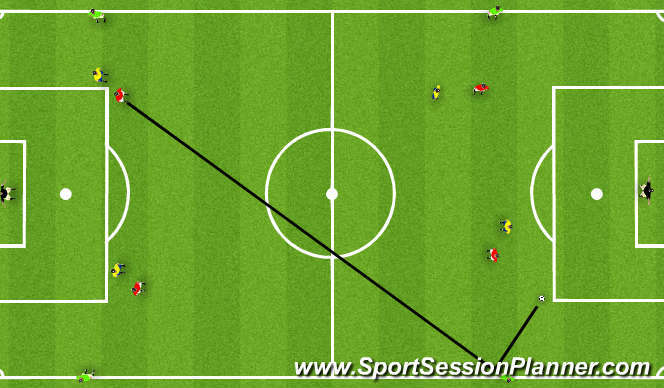 KP covering position /support play / body shape / high tempo keep possession if you score /condition cant go back to same player.